and i think that's all for now unless i missed something. This was an issue with the transporter in ae23. Fixed. Like I said before, the merchant isn't really able to sell stuff yet since I'm yet to learn how shops work. As for the spriteless item, I'm not really sure how to make new items from scratch and how to assign a sprite to them. The item in question happens to be the level 2 shield, by the way. The actual problem with that one is that it was set to the destination icon rather than just scrolling over. Fixed. That's intentional. The encounter with her is going to be complex, so I'm just leaving her aside for now. Also intentional. There's a lady at aj22 who does the same thing. Both of them are intended to be minor sidequests, which haven't yet been implemented. I was more concerned with ensuring that the yes and no dialog worked properly since I struggled with it at first. I find that odd, and don't really know what to do about it. Ideally, you'd start back at the centre of Vision Henge on loading game and death, unless saved inside a dungeon. 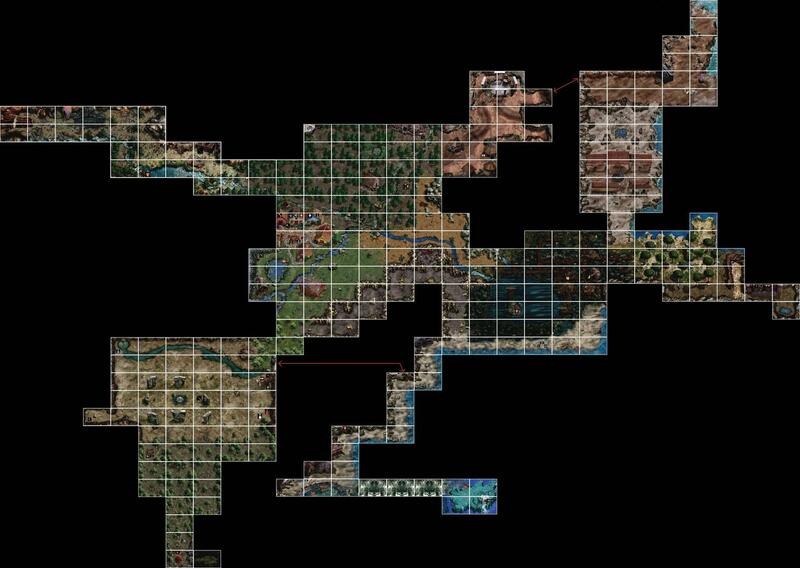 The only reason that ca07 is where you end up is because it's chronologically first in all the maps. This is really good stuff you're doing here. I super appreciate it! One thing I'm debating over is reshaping the river separating the Plain from the rest of the overworld. I did my best to try and replicate how it looked in the original game, but I'm not sure I like how it looks and can potentially interfere with moving between screens. So my thought is to simply make it nice and straight across with few curves whatsoever, but if it stays the way it is then it's no skin off my nose. Anybody who plays it, can you give me your thoughts on it? Anyway, it's general shape looks okay to me. Could you provide examples of where it's particularly hazardous? I could probably put in some rocks or something to block it off. Hey, just a question, what was the problem with your octorocks/what did you do to fix them? I've had a similar problem. I think the problem was that they weren't actually shooting rocks, which was because I'd copied the LUA file from another Solarus project, and as a result the script couldn't find the location of the rocks. So I redirected it. If that's not the issue then I'm not entirely sure what I did, but I can post my script if you need it. All right, I've amended those maps so hopefully the drowning issue won't occur. I've also put in a bunch of enemies around the Plain so I'm currently testing balance. It certainly isn't high on my priorities list, but I was watching the Movements tutorial last night and got frustrated that I couldn't get it to work myself. I'll probably have to address it at a later date. I'm not entirely sure I understand what you're saying there. -- that is, when the player takes control of the hero. I haven't quite updated my GitHub yet, but I'll do so probably tomorrow or soon enough. Soon I'll need to properly work on boss movements and puzzle mechanics. I think I don't want to move into mapping the rest of the game until I have more of the scripting stuff worked out.